Pench National Park or Tiger Reserve is one of the premier tiger reserves of India and the only one to straddle across two states – Madhya Pradesh and Maharashtra. The reserve gets its name from the Pench River that flows, north to south, 74 km through the reserve. For purposes of tourism, there are two main gates on the Madhya Pradesh side of Pench Tiger Reserve. The gate that is mostly used is the Turia gate. 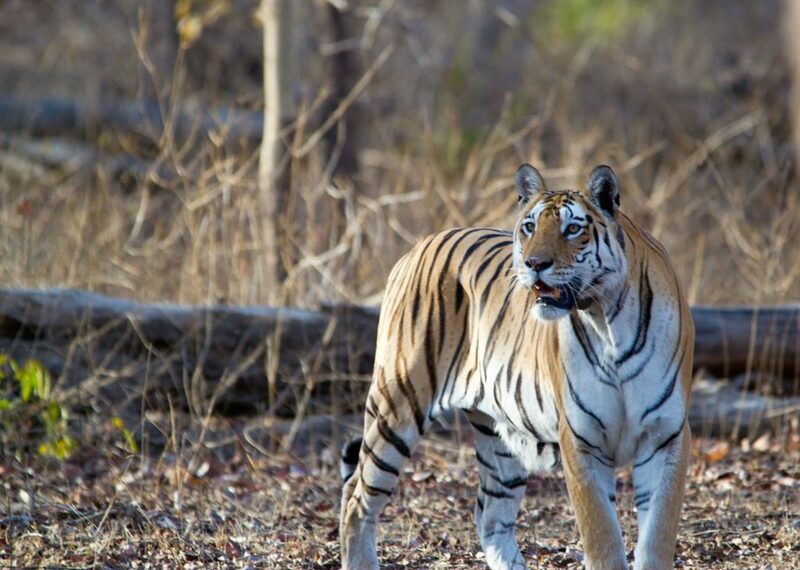 Pench is home to a variety of wild life and more famously for the Royal Bengal Tiger. However, Leopard sightings in this park stated to be among’st the best in India. Other predators in the park are Dhole (Indian Wild Dog), Wolf, Hyena, Jackal, and the Jungle Cat. The vast expanse of pastures and meadows along the river is a good breeding ground where you can catch herds of Cheetal, Sambar, Wild Boar and Gaur. The park is a delight for bird lovers and is home to more than 300 species of birds including Orioles, Wagtails, White eyed buzzard, Horn bills, Kingfisher, Barbets, Orioles, Minivets, the crested serpent eagle, crested hawk eagle and a host of Raptors. Leave for Safari early morning 6:30 am -> Light breakfast during the safari -> back to hotel by 11:30 am, rest, have lunch -> leave for Evening Safari starting 3pm -> back to hotel by 6:30 pm, rest, have dinner -> sleep. Leave for Safari early morning 6:30 am -> Light breakfast during the safari -> back to hotel by 11:30 am – Checkout – Leave for Nagpur -> Reach Nagpur by 4 pm – head to your respective cities. All costs/itinerary are subject to booking availability. If there are any changes in plan or cost it will be informed to you well in advance. Your participation on the trip will be confirmed once you send the details needed – Name, father/s name, Govt. approved ID card number and advance deposit of INR 5000.